Could the Bedouin style stretch marquee be the answer to outdoor wedding ceremonies in the British climate? Born in South Africa, but styled on the Bedouin tents from the nomadic peoples of the Arabian and African deserts, stretch marquees have evolved with the harsh desert climate in mind. 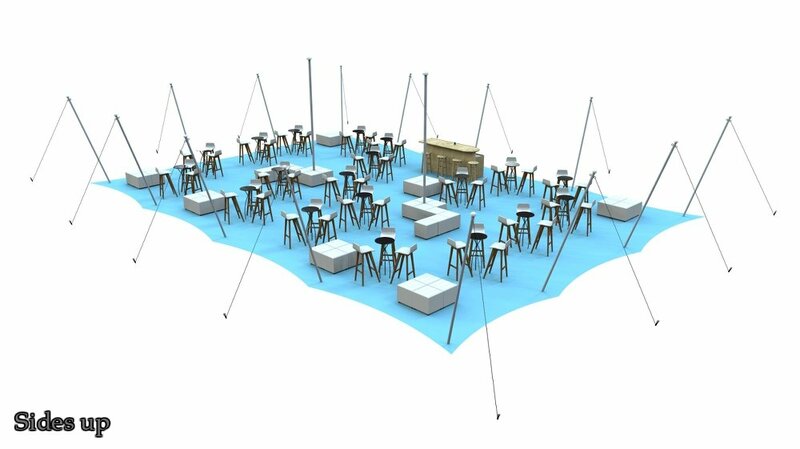 No two stretch marquee set ups are the same, there are a variety of poles that can be placed in many different configurations so each event can be unique. We have noticed a growing trend in couples doing a private wedding in a town hall prior to the celebration, then having a blessing in a marquee or cover on the day of the big celebration. This gets round the fact that you can’t legally get married in a temporary structure in England. Couples ask us for something that doesn’t look and feel like a traditional marquee but can provide cover from sun and rain. We have been searching for the right solution for this for some time and feel the stretch marquee fulfills this perfectly. With the sides on their higher setting the structure seems to float above the ground, it has the lightest touch and warmest feel of any marquee available. How about using a stretch marquee alongside our tipis? We love the look and feel of the Giant Hat Tipis, but the nature of their round shape and sloped sides bring their challenges. The combination of these two styles could make the tipi really work for a full wedding, creating open areas, snug areas, dining and dancing. The Chino or Fawn colour matches the tipis very closely so neither will look out of place. Want to host a party but don’t want it to look like a wedding? Again the stretch marquee could be the way forwards. 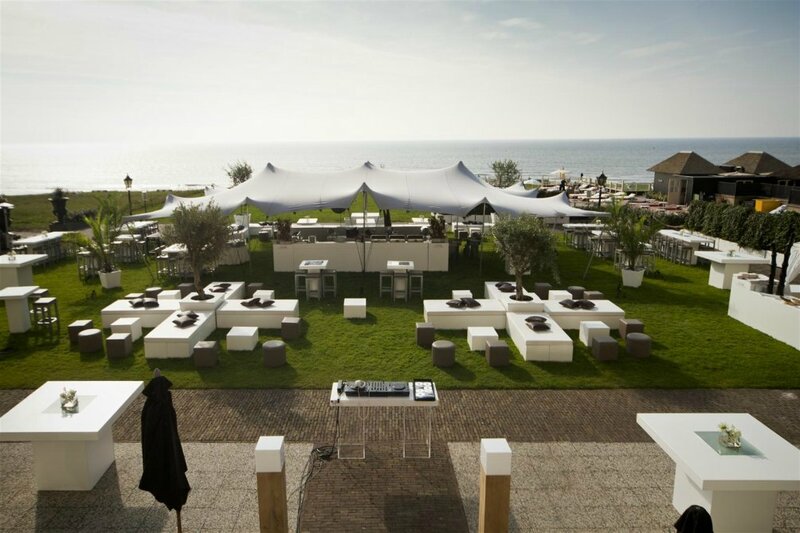 It has a less formal feel to the Frame and Traditional Marquees and has room for seating, dancing and bar areas. Due to its uniquely flexible nature the 10m x 15m size varies depending on set up. The full size can be achieved with all sides up, but you may want one or more side pegged down to the ground, this reduces the standing room area. For seating during a ceremony 150 guests can happily be accommodated and our bench seats provide the ideal way to achieve this. We will usually erect the tent with sides up for this purpose as we feel that most couples will want to have a light and airy feel and a basic rain and sun cover in the form of roof canopy will be ideal for this.